It’s the most wonderful time of the year – and here in Pemberton, we know a thing or two about enjoying the holiday season. Here’s how the locals celebrate the festive season – maybe you’ll find a new favourite holiday tradition! Imagine a low-fuss Christmas that’s all fun and no stress. Sounds pretty good – and it actually exists! 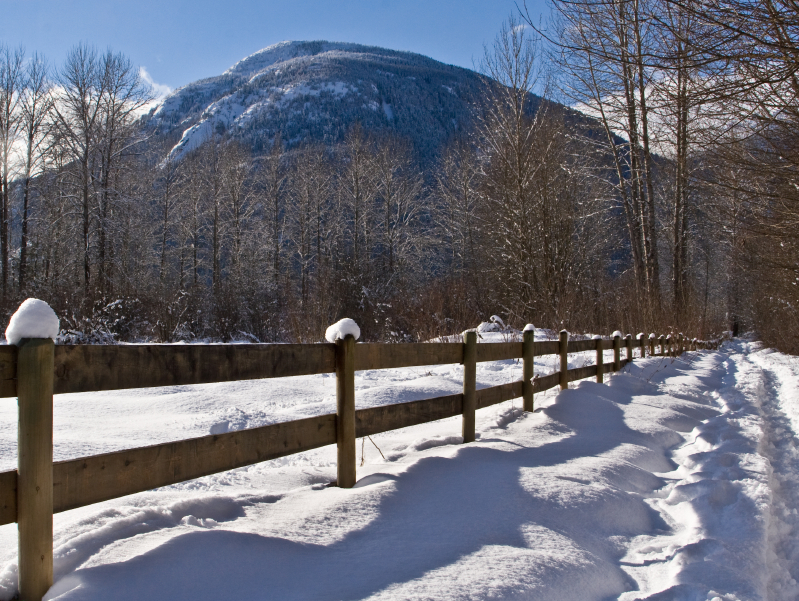 The beautiful Pemberton Valley Lodge has holiday packages that are incredibly enticing. The “Home for the Holidays” package includes a self-cook holiday meal (“with all the fixings”), dessert and wine, festive music, and the use of a Christmas tree including all the decorations. The Deck the Hall package includes the same, with the dinner option replaced by several festive goodies, think candy canes, chocolates, baked goods, and those delicious Christmas oranges. These packages can be booked for two to six people, making it perfect for families who want to keep it small and simple. The St. David’s United Church once again presents the Christmas Bazaar on Saturday, December 5. Head to the Pemberton Secondary School to finish (or start!) your Christmas shopping while supporting local artisans. From crafts and art to scrumptious baked treats, you’re sure to find something for everyone on your list. Doors open at 5 PM – bring cash! If you work for a small business in Pemberton without a budget for a huge holiday bash, not to worry, simply take part in the Pemberton Small Business Christmas Dinner & Dance. Taking place on Saturday, December 12 at the Black Squirrel Restaurant at the Meadows Golf Course, your ticket comes complete with delicious appetizers, a delectable dinner, one free drink (plus the option to buy more), a shuttle service from downtown Pemberton, and as much dancing as you can handle! Doors open at 6:30 PM and tickets are priced at $60 each, plus you’re asked to bring a non-perishable food item or unwrapped toy donation. Grab your ticket at AC Gas, Pemberton Valley Supermarket, or from Whistler Real Estate Company! Here’s a great way to put your family, friends, or office in the Christmas spirit: take part in the Christmas Hamper program. Connect with the Sea to Sky Community Services office at 604-894-6101 and sponsor a Christmas Hamper for a local family who could use a hand this season. Sponsoring a hamper involves donating supplies and funds to provide a holiday dinner and gifts for families and individuals in need. ‘Tis the time of year to make sure everyone in our community is tended to! Marvel at the creations of talented local businesses at the annual Pemberton Gingerbread Project. This event, which benefits the Pemberton Food Bank, features gingerbread creations baked, assembled, and decorated by local Pemberton businesses. Stop by the Pemberton Valley Lodge between December 10 and 20 to witness the displays firsthand and to cast your vote for the winning gingerbread masterpiece. Can’t resist the urge to take a bite? Good news, the gingerbread houses will be sold in a silent auction, so you can bid on the confectionary castle that you like the most. Make it a family affair and join in on the Gingerbread Project Family Day on December 19 from 1 to 4 PM. In addition to viewing the gingerbread houses, you’ll be able to snap a shot with Santa Claus himself and indulge in hot cocoa and cookies.